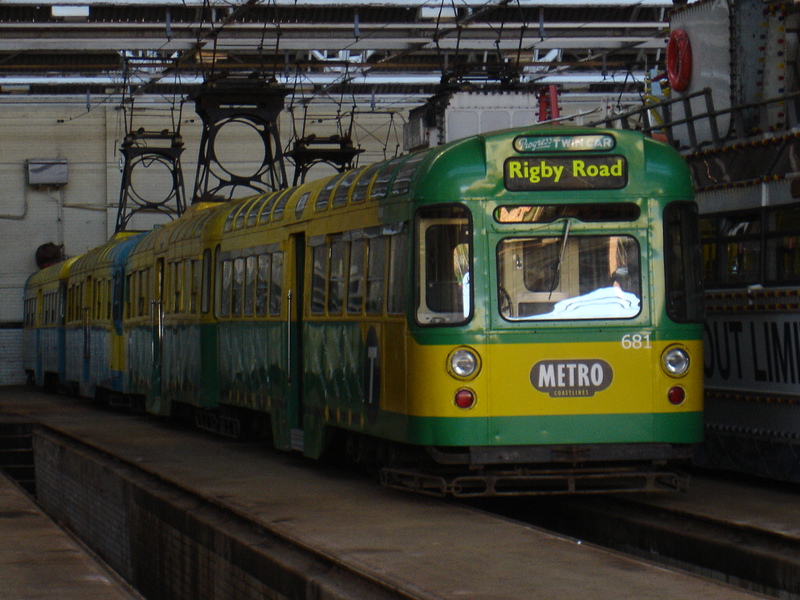 With the recent problems faced by the Lancastrian Transport Trust about their collection having to leave Rigby Road depot, an agreement may now have been made that will at least make the future of the trams secure. 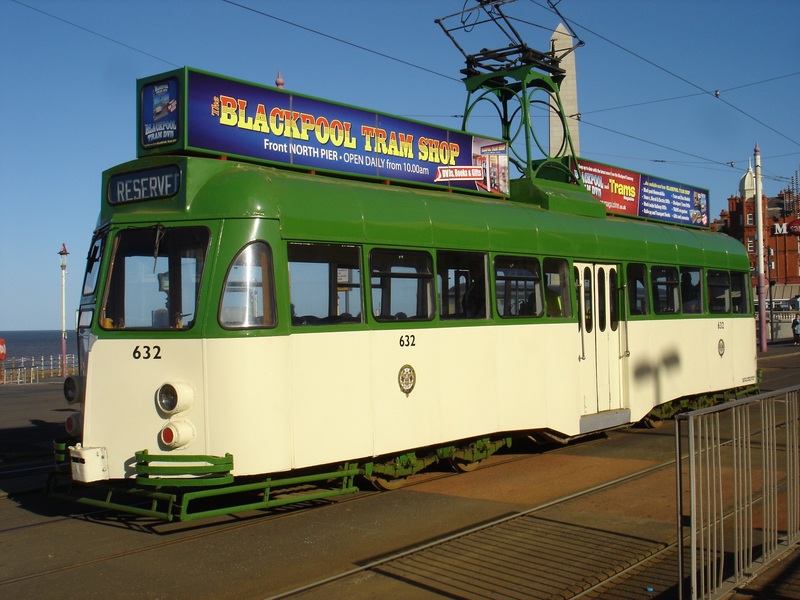 Blackpool Transport have agreed to allow the trams to be stored at the depot for a further year, but is rumoured that a £100 fee per tram per week is to be inforced which will undoubtably drain the finance currently held by the LTT. After this year, the current plan is to have the trams on public view at a new Thornton Gate transport heritage centre. 632 is seen at North Pier on the 26th of September 2010, this is one of the trams enmarked for the Thornton Gate heritage centre. Just meeting Blackpool Transports deadline of all trams being removed from the depot by November is Balloon 708 which left for temporary storage in Bolton. In the future it will hopefully be used on the Heaton Park Tramway when the new depot is complete, while Brush 623 has now arrived at Heaton Park from storage and will be used on the tramway next year. Also moving was Heaton Parks second Balloon car (702) which has had to vacate the closed Museum of Museums and is now in temporary storage at the East Lancs Railway in Bury along with Railgrinder 752, which will both also see use on the tramway once the new depot has been completed. 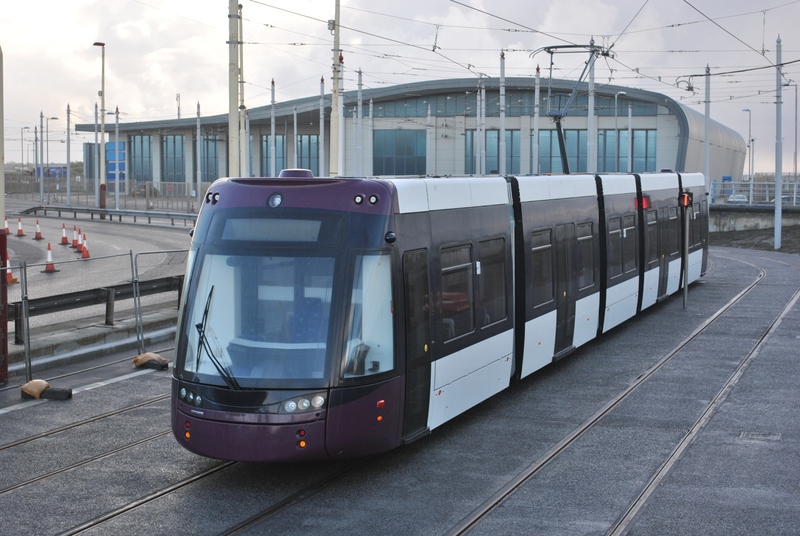 Flexity 005 arrived at Blackpool on the morning of the 9th of December, making this the third tram to arrive at Blackpool. 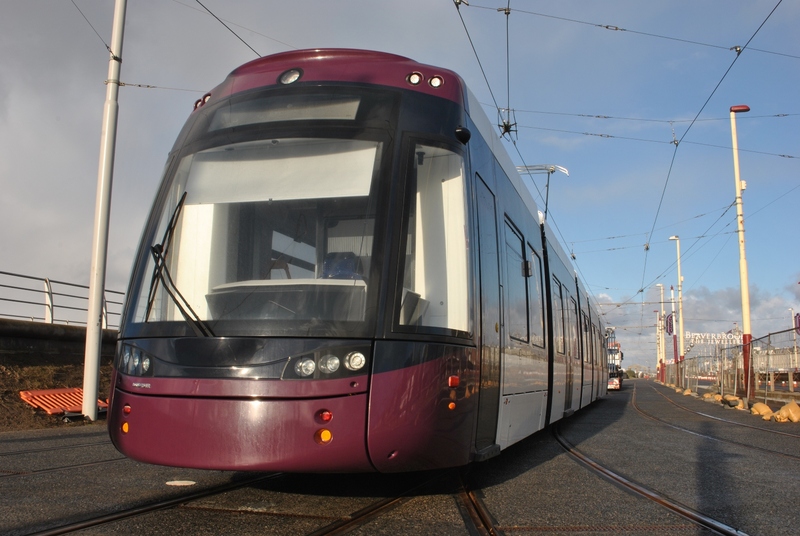 It is now looking increasingly unlikely that there may not be all 16 prepared for service when the tramway reopens in Easter due to the current rate of delivery, and winter weather approaching which will further delay the deliveries. 005 is seen unloading on the 9th of December. Photos Thanks to David Allen. An unexpected change of ownership has recently took place between LTT’s Brush 637 and Trailer 687 which are now under the ownership of the Merseyside Tramway Preservation Society and in exchange is towing car 671. This unfortunately means that the chance of seeing a twin set in Birkenhead has now gone, although the MTPS will remain owners of Trailer 681 so will mak the journey to go on static display while 671 will also go on display if the LTT’s Thornton Gate tramway museum goes ahead. 671+681 is seen at Rigby Road depot on the 26th of September 2010, the set was briefly returned to service to help with busy nights on the 2010 illuminations. The second Boat car has now been confirmed as staying in Blackpool in the form of 602, which will undergo minor refurbishment before returning to service in Summer 2012 with its last use being in November 2010. A deal with the George Formby Society will see the tram being named “Georgy Formby OBE” and an initial date of June the 9th has been set for a launch ceremony at North Pier. You are a pure tram genius! This website is very helpful and informative, it has relightened my passion for trams. Thank you! And have a very Merry Christmas!! Thank you, and I am glad you enjoy the website. Merry Christmas to you too! I saw Flexity 005 on 9 December, after it had been offloaded from the artic, in front of the depot. I have photos, if you can use them. Keep up the great news updates. I would like to use the photos which can be put on this update. If so, I will include a link to your site at the bottom of the post. I took some 30 shots that day. I have identified 6 which I think show the tram to advantage, e.g. on its own, with the delivery artic lorry, just the front end, with the Pepsi Max in the background, with the depot in shot, etc. That would give you a selection to choose from. However, I need an email address to mail you the photos, and I see that yours is a “Do not reply” address. I will then send them in two emails of 3 photos each, so you can have hi-res shots, in case you would like to use them in the future.